Vanessa's Card Studio: Happy (Stampin' Up) New Year! First let me just say that I'm SO excited about the new catalog! It went "live" today at Noon. If you haven't done so already, feel free to look at the catalog link on my blog or even log onto my "Shop Now" site to look around. I have had the catalog in my hands for a couple of weeks now and I'm still looking at it and finding new things for my wish list. Have you made your wish list yet? If it's long, then I have some suggestions. First, you can always host a home workshop. It's a class for you and your friends in your home (or we can do it in my classroom.) Based on sales, you can earn free stamp sets and products. The other option is to become a demonstrator yourself! I love doing what I do! I love getting my hands on new products before everyone else, I love getting a discount on everything I order, I love getting to go to conventions and conferences, and I love meeting such wonderful people as I share my love of stamping. 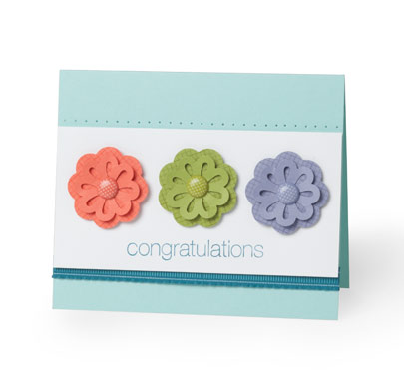 This month you can join Stampin' Up as a demonstrator for only $99! You get 2 stamp sets, 4 ink pads, a collection of cardstock, a pack of designer series paper, a package of note cards, a spool of ribbon, a blender pen, snail adhesive, and a "c" clear mount block. Some of the items in the kit may be customized so you can select your own stamp sets (of equal value) and colors. 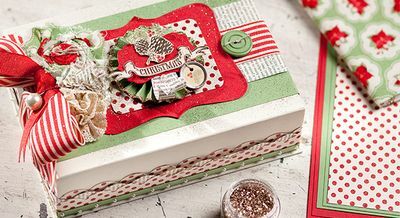 In the month of July, you also will receive a Christmas Keepsake Product Kit. If you're interested you can sign up online by clicking here. You'll see a list of the goodies you get for $99. Then on the upper right side, you'll see a link for "Join the Fun." Go there and click "Join Now" button on the left. You'll just fill out your info and then select the items you want in your kit (it's a good idea to have your catalog handy or to look up things online ahead of time!) Contact me at svzhong@gmail.com if you have questions. 2. In order to stay active as a demonstrator, you must submit orders totaling $300 each quarter (that works out to $100/month!) This is the retail total. Your total will be less the 20%. 3. If you want to have an online store, you want to sign up for that within the first 21 days so you can get 2 months hosting for free. After that it's $12.95/mth. 4. You don't have to have workshops or sell online. You can just sell to yourself!